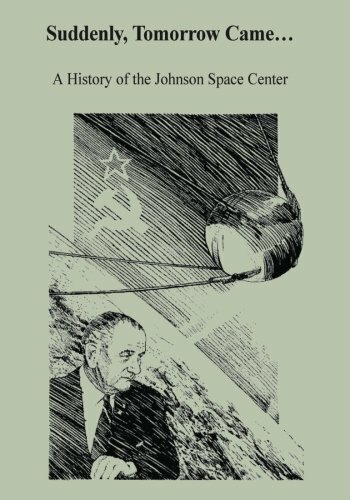 This history of Johnson Space Center (JSC) is a detailed chronicle of the U.S. space program with emphasis on humans in space and on the ground. It realistically balances the role of the highly visible astronaut with the mammoth supporting team who provide the nuts, bolts, and gas to keep the train on the track. It recognizes the early political and technical geniuses who had the vision and ability to create NASA and JSC and keep them expanding at a rapid pace. The history of the Johnson Space Center focuses on an unusual slice of time and human affairs. It has been a time of great changes, the full impacts of which is not yet evident. American history and that of humankind has been irrevocably affected by spaceflight. Space has generated new technology, new materials, and a new process of thought about the Earth and the human potential. This book has a beginning and an end, but the story continues, perhaps through all time. Suddenly, a new tomorrow has come into being. In 1902 H.G. Wells observed that the past, “all that has been and is, is but the twilight of the dawn.” Today, because of the American space program, “the world is heavy with the promise of greater things.” Indeed, perhaps that day predicted by H.G. Wells has come to be: “when beings, beings who are now latent in our thoughts and hidden in our loins, shall stand upon the Earth as one stands upon a footstool, and shall laugh and reach out their hands amidst the stars.” World events are catching up with the examples provided by the major manned space programs. Almost every astronaut and cosmonaut who circled planet Earth has observed that from orbit there are no national borders visible on this beautiful globe. All those fortunate enough to view Earth from the Moon were impressed with its similarity to a spacecraft and by its remoteness and insignificance in the Universe. These observations by humans in space have had a profound effect on humans on Earth and provide a strong unifying force for international space exploration. So as tomorrow comes, people of the Earth will inevitably step into the Universe and become true space people--citizens of Mars, the Moon, Venus, and beyond.